Last edited by Shakespeare; 08-12-18 at 06:09 AM. When will the show be launched? I liked the romantic side of the Chen Xiao / YanXi Chen version. They even top that by actually becoming a couple and getting married. With so many series being remaked, I sure hope they remake Palm of Budha. I wouldn't mind yang yang, liyifi, ma tianyu, lingexin, shawn dou, man guy from border town, luhan or kris wu since their popular and will get more korean and American audiences, mark Chao and yang mi so we can have ye hua and bai qian again. Only if Hu ge was younger wanted him as yg or lhc or qiao feng. Xln, zanilla, zhu lu, janice man, angelbaby, guili naza, yang mi, tang yan, heck liuyifei can play role again. RoCH is my fav story of all time. But I'm not really hyped for this series. Art concept in the first post poster looks good though. If the actual series looks the part, I might even put it on the same hype level as The King's Avatar or Novoland:Eagle Flag! Last edited by hirobo2; 01-14-18 at 10:36 AM. Rant: I have honestly never seen a great Jin Yong adaptation. Sure Princess Agents may have a crap script, but its production value is miles ahead of any Jin Yong adaptation I've seen to date. I hope the new RoCH will be the first Jin Yong series to break the mold and actually look good! 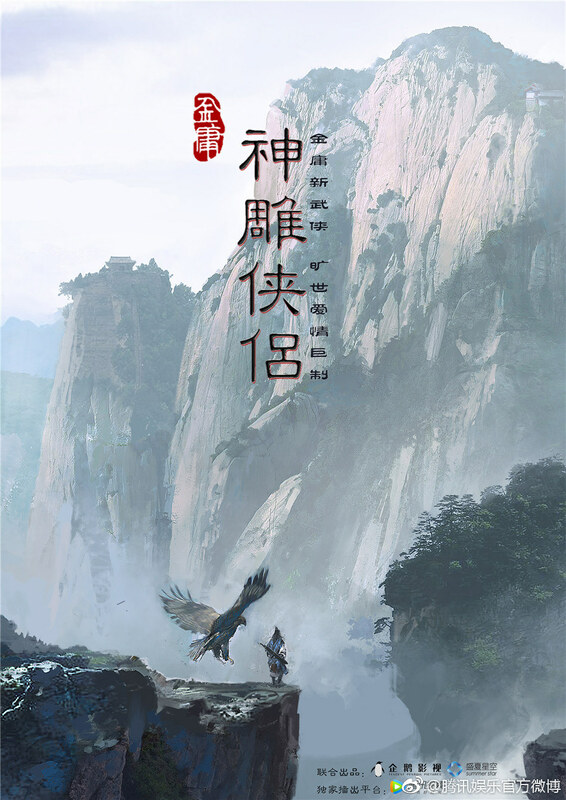 I hope the new RoCH can look like a new story nobody ever heard of before vying for audiences attention, and not skim on quality just coz it's a Jin Yong work and ppl will watch it regardless of the shoddy cinematography! Last edited by hirobo2; 01-14-18 at 10:50 AM. Rant #2: Why I don't have faith in this new RoCH TV. Let's take a look at LoCH 2017. What they did moved the TV slot to late at night past most youngsters' bed time. Could you imagine had LoCH 2017 was shown at the same time as the Gordon Chan movies? It can then easily occupy prime time TV slots. What I'm trying to say is, RoCH 2018 will be the easiest thing to sell to TV stations becoz of the hype for the Hark Tsui movie version. Since it's guaranteed to make big bucks/attract audience, I doubt the production team of TV RoCH will put any effort into it. They might just take the path of least resistance and produce another adaptation with quality just barely acceptable to be shown on TV! Last edited by hirobo2; 01-14-18 at 11:34 AM. Rant #3: We're long past the age of Jin Yong adaptations. We're well into the age of Jin Yong derivative works. The smart production budget/money knows where the goldlings are found. We already have another RoCH adaptation as recent as 2017. The TV show called Three Lives, Three Worlds is RoCH set in a xianxia world! Not part of RoCH, but the entirety where XLN (Yang Mi) was physically not sexually assaulted (she lost her eyes instead of her virginity). And Yang Guo (Mark Chao) the eternal lover of XLN lost his arm just the same. Yang Guo (Mark Chao) is said to be the splitting image of Yang Kang (Mo Yuan). Check! The story even did something creative like have a couple of YG (junior) + YK (senior) alive scenes together! I hope the scenery can be ultra natural. I'm not sure how to describe that but like the daoist temple, they should build a new set instead of looking for one from all over the country but makes it natural looking and very ancient. I hope they make it as natural as possible and with very little CGI like the Walace Huo Xiao Ao Jiang Hu version was not great with too much CGI. What do you guys think about this too much CGI things? If possible, I sure hope whoever playing Yang Guo and Xiao Long Nu actually end up being a couple and getting married like Chen Xiao and YanXi Chen. Last edited by a_tumiwa; 01-15-18 at 10:38 AM. From that Drama Panda blog, since they're still looking for actors. I was thinking of a few. 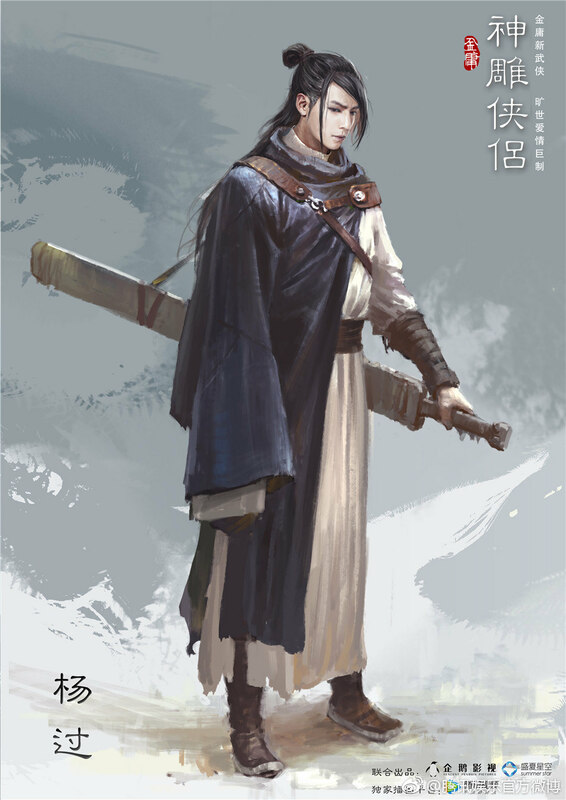 How about Hu Jun as Guo Jing? He was marvelous as Xao Feng in Zhang Jizhong version of Tian Long Ba Bu. 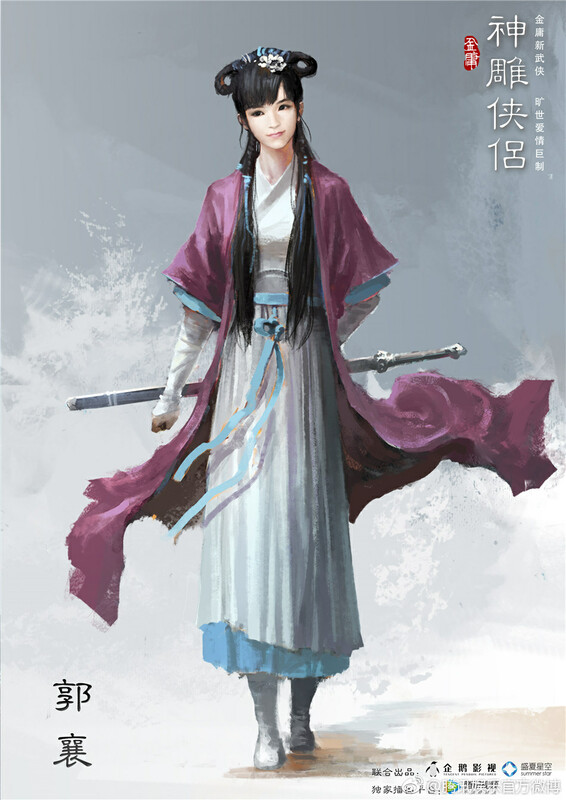 Viann Zhang should be Huang Rong, she was great in the 2014 condor heroes version. They don't need a young Guo Jing, Yang Kang or Huang Rong, they could just put in clips from the 2017 version of Condor Heroes. I think they should have Athena Chu as Li Mochuo, she have that great looking mean looks in Palm of Budha. Wu Yue should be Au Yang Feng, he was very well as WuKong in the Xi You Ji Zhang Jizhong version. How about Leo Weu "WuLei" as Yang Guo since he was already playing as young Yang Guo in the 2014 version. He sure fit the role nicely? I was just playing along, but hasn't Gulinaza and some unknown guy already been cast as XLN and YG? Are you talking about Guli Nazha or is Gulinaza a different person? I just looked at a video of Guli Nazha kissing scene. She looks beautiful. I sure hope she can perform well as Xiao Long Nu. I hope she can express the calm and coldness beauty that makes Xiao Long Nu the character that she is. But upon looking at Guli Nazha kissing scene, it got me wondering if they should get someone else that have never had any kissing scenes before because the Xiao Long Nu role is exceptionally special. I sure hopes they consider this. I sure hope they consider Wu Yue as Ou Yang Feng. He seems very charismatic and entertaining especially as WuKong. 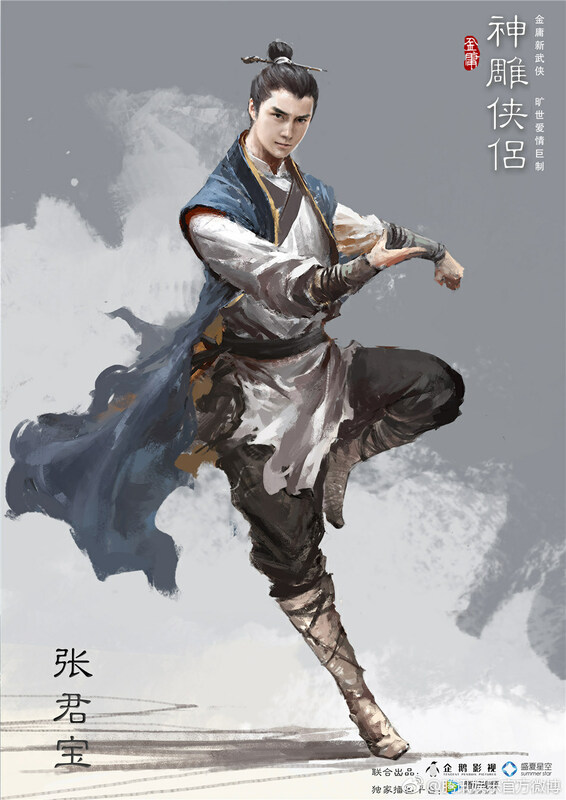 I think he will perform nicely as Ou Yang Feng and give a new feeling to Ou Yang Feng. I’m confused, is this a movie or tv series? I always heard they wait about 10 years to do another remake. None of the 8 versions so far can exactly express the novel (for example, all of them missing the kiss scene 8 times in a row, must be coincidence), so I don’t have high hopes. I want them to be creativity this time because they seems inability to read and understand the novel in the past versions. Kiss scene? Chen xiao n Michelle version had kiss scene. When they left the tomb and started practising sword techniques. It was pretty funny scene. The series weren't bad as everyone said. This threads for tv series, don't think theirs one for movie version but supposedly tsui hark or gordan chan I think was producing one. 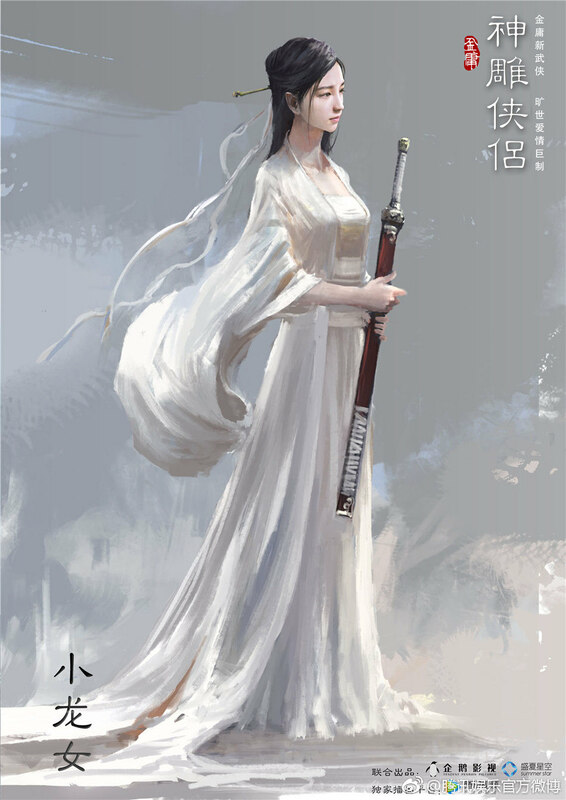 Rumor has it tvb is also producing Rotch series, while wong jing is making movie version of heaven sword dragon sabre and Rebecca zhu may plau Zhou zhiru.